China is officially referred to as the People’s Republic of China. It has the world’s largest population, with a land mass that extends across 3,700,000 square miles (9,600,000 sq. km) it is the world’s 3rd or 4th largest country by land mass.China features a wide variety of landscapes, terrains, and geographical regions. It has a coastline that stretches 9,000 miles (14,500 km) along the Pacific Ocean. China is also one of the 17 megadiverse countries. There are many attractions that China affords visitors, however which make the list of wonders? 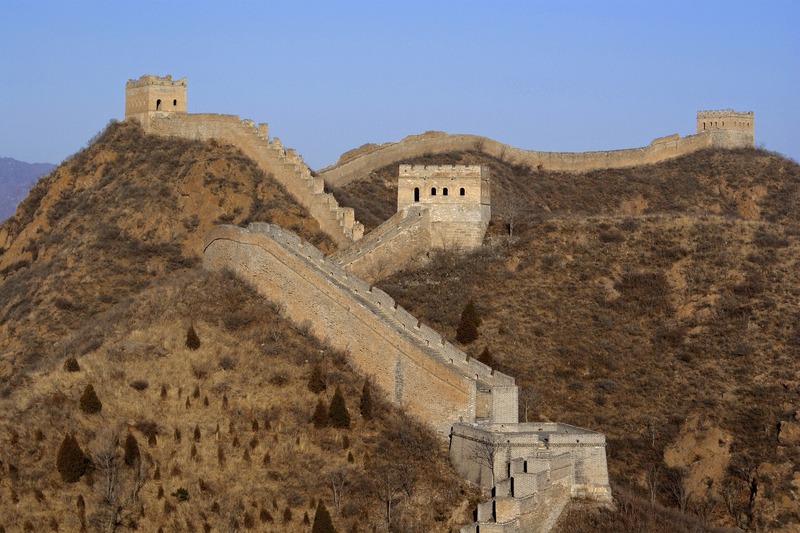 What are the 7 Wonders of China? The Great Wall of China is one of the Seven Wonders of the World, the leading attraction for China, and subsequently the leading wonder for the Seven Wonders of China. The wall extends across China 5,500 miles (8,850 km). The Great Wall of China is comprised of 3,889 miles (6,259 km) of actual wall. The rest of it is accounted for by 223 miles (359 km) of trenches, and 1,387 miles (2,232 km) of natural defenses such as rivers and mountains. When branches of the wall are taken into consideration, the actual measures 13,171 miles (21,196 km) making it one of the most significant architectural accomplishments in history. The Terracotta Army accompanies the Great Wall of China as one of the Seven Wonders of Asia and is one of the most popular historical and cultural attractions for both China and all of Asia. It is a collection of terracotta sculptures that represent the armies of Qin Shi Huang who was the first emperor of China. 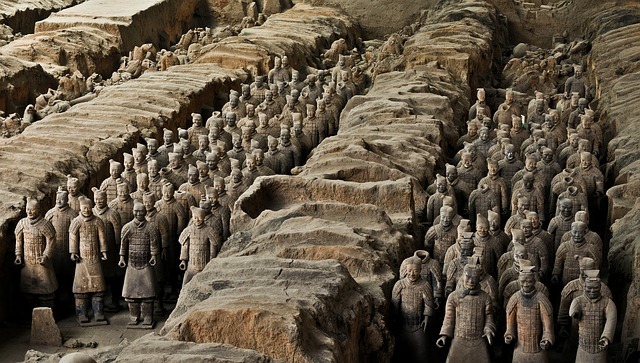 The Terracotta Army is comprised of over 8,000 soldiers, 130 chariots drawn by 520 horses and another 150 cavalry horses. This funerary art was created and buried with the emperor between 210-209 BCE. It is part of a larger necropolis that extends 38 square miles (98 sq. km). The terracotta figures are all created life-sized and vary in presentation of uniform, height, hairstyles and at least 10 different face shapes. The Forbidden City is located in Beijing and is a palace complex that was the imperial palace from 1420 to 1912. This span covers the Ming dynasty through the Qing dynasty. 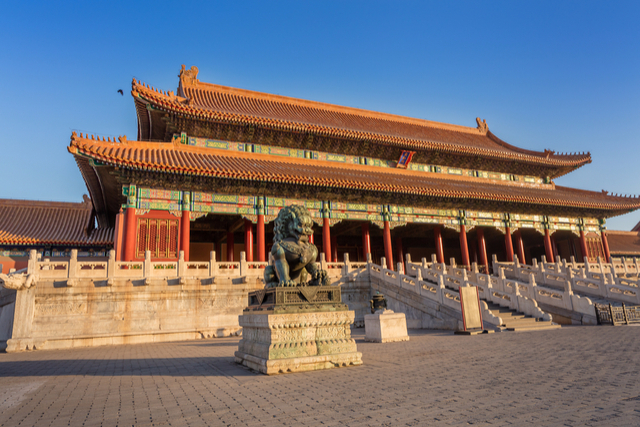 The Forbidden City complex includes 980 buildings spread out over 180 acres (72 ha). The Forbidden City is a UNESCO World Heritage Site and home to the largest collection of preserved ancient wooden structures in the world. There are 16.7 million visitors annually that explore this leading attraction for China. The Forbidden City is structured as a rectangle measuring 3,153 feet (961 m) from north to south, and 2,470 feet (753 m) from east to west. It houses 8,888 bays of rooms that are enclosed in a 26 foot (7.9 m) high wall and a 171 feet (52 m) wide moat.